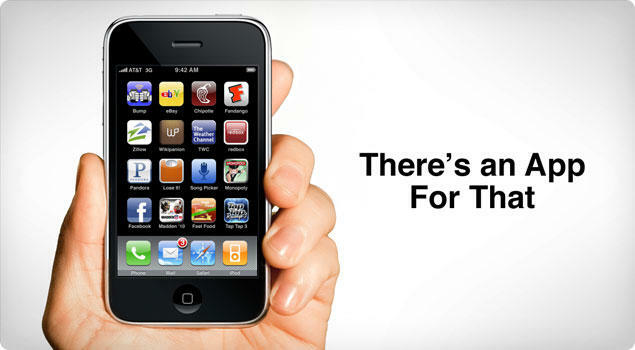 “There’s an app for that” is the “Where’s the beef?” or “I can’t believe I ate the whole thing” of our generation: an advertising slogan so ubiquitous and memorable that it is referenced constantly in popular culture. Lazy joke writers love it, while Don Draper himself would admire it’s almost crystalline beauty. Apple first filed for the trademark back in 2009 after using it on January 26th of the same year. The description of the trademark says it should apply in the following situations. …retail store services featuring computer software provided via the Internet and other computer and electronic communication networks; retail store services featuring computer software for use on handheld mobile digital electronic devices and other consumer electronics. Which means if you run a realtor business and want to keep your “There’s an Apt. for that” ads up in the local papers, you’re probably okay.